* Free shipping to U.S. addresses only. 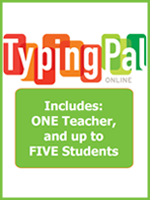 All in all, this is hands-down the BEST DEAL ANYWHERE for Switched-On Schoolhouse! Note: The SmartPoints are awarded at the time of purchase. Check out what you can buy with SmartPoints on our SmartPoints Spend 'Em page and in our SmartPoints Vendor Hall. Switched-On Schoolhouse is a comprehensive, Bible-based curriculum that offers computer-based learning for grades 3-12. It has been a best-selling favorite with thousands of homeschooling families for years, and is a Cathy Duffy "100 Top Pick for Homeschool Curriculum." Scroll down for more information about Switched-On Schoolhouse and this offer. Visit the Switched-On Schoolhouse pages on the Alpha Omega website. Review the Switched-On Schoolhouse system requirements. Fulfillment: You will receive your SmartPoints within minutes of placing your order. Your product(s) will ship directly to you from the Alpha Omega warehouse, typically within 3-5 business days from the day you place your order with us. We will notify you via email when the product ships and provide a tracking code. Please allow an additional 5-7 business days thereafter to receive your product. Shipping: Your order will ship via best method, usually UPS Ground or FedEx Ground to the continental United States, USPS Priority Mail to Hawaii and Alaska, or USPS International for Canada. U.S. orders ship FREE. Shipping to Canada is 25% of the order total with a minimum $25. Returns/Cancellations: If the product is defective or damaged upon receipt, you may return it for replacement media within 30 days. Submit your return request at our Contact Us page. You will receive return/replacement instructions via email and/or phone. U.S. and Canadian members only: However, International members can still get a great value AND BONUS SmartPoints by registering for a special shopping link. Are you fed up with time-consuming lesson planning and grading? Want a curriculum that will provide outstanding academic instruction and save you time? The Switched-On Schoolhouse 3rd Grade Complete Set (USB) from Alpha Omega Publications offers all this and more! Presented in an interactive, media-rich learning environment, Switched-On Schoolhouse offers features and abilities that textbooks cannot begin to offer. For students, features such as videos, animated clips, interactive timelines and learning games, as well as immediate grading and feedback add lots of excitement to the learning process. And parents benefit from highly adaptable features in this Alpha Omega curriculum such as automated lesson planning and grading, customizable record-keeping options, and many flexible curriculum options. Text-based lessons are interspersed with interactive multimedia activities which enrich and reinforce material presented in the lesson. Comprehension and review questions used at the end of each lesson encourage mastery of learned material and quizzes and unit tests provide an excellent way for parents to evaluate student progress. Are you ready for the next generation of homeschool curriculum? Then order Switched-On Schoolhouse 3rd Grade 5-Subject Set today! Switched-On Schoohouse USB Core Complete Set includes four (4) core subjects for Grade 3: History, Language Arts, Math, and Science. Bible is not included in this set. This Core Set is not available at the AOP website. If you are looking for the Complete 5-Subject Set on USB, which includes Bible, please see the product above. Are you looking for a curriculum that will encourage academic independence and critical thinking in your fourth grade student? Thats exactly what youll find with the Switched-On Schoolhouse 4th Grade Complete Set (USB) from Alpha Omega Publications! Presented in an interactive, media-rich learning environment, Switched-On Schoolhouse offers features and abilities that textbooks cannot begin to offer. For students, multimedia features such as videos, animated clips, interactive timelines and learning games, as well as immediate grading and feedback add lots of excitement to the learning process. And parents benefit from highly adaptable features such as time-saving automated lesson planning and grading, customizable record-keeping options, and many other flexible curriculum options. Switched-On Schoohouse USB Core Complete Set includes four (4) core subjects for Grade 4: History, Language Arts, Math, and Science. What do you want from a homeschool curriculum? A solid academic reputation? Bible-based learning? 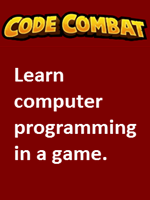 Instruction thats interactive and engaging? Youll find all this and more with Switched-On Schoolhouse 5th Grade Complete Set (USB) from Alpha Omega Publications! Presented in an interactive, media-rich learning environment, Switched-On Schoolhouse offers features and abilities that textbooks cannot begin to offer. For students, multimedia features such as videos, animated clips, interactive timelines and learning games, as well as immediate grading and feedback add lots of excitement to the learning process. And parents benefit from highly adaptable features such as time-saving automated lesson planning and grading, customizable record-keeping options, and many other flexible curriculum options. Text-based lessons are interspersed with interactive multimedia activities which enrich and reinforce material presented in the lesson. Comprehension and review questions used at the end of each lesson encourage mastery of learned material, and quizzes and unit tests provide an excellent way for parents to evaluate student progress. Everything youre looking forall in one place! Order Switched-On Schoolhouse 5th Grade Complete Set and try it for yourself. Switched-On Schoohouse USB Core Complete Set includes four (4) core subjects for Grade 5: History, Language Arts, Math, and Science. Are you looking for a complete homeschool curriculum? Are you ready to go beyond the ordinary? Well, look no further! Beyond ordinary is exactly what youll find with the Switched-On Schoolhouse 6th Grade Complete Set (USB) from Alpha Omega Publications! Presented in an interactive, media-rich learning environment, Switched-On Schoolhouse offers features and abilities that textbooks cannot begin to offer. For students, multimedia features such as videos, animated clips, interactive timelines and learning games, as well as immediate grading and feedback add lots of excitement to the learning process. And parents benefit from highly adaptable features such as time-saving automated lesson planning and grading, customizable record-keeping options, and many other flexible Alpha Omega curriculum options. Text-based lessons are interspersed with interactive multimedia activities which enrich and reinforce material presented in the lesson. Comprehension and review questions used at the end of each lesson encourage mastery of learned material, and quizzes and unit tests provide an excellent way for parents to evaluate student progress. Go beyond ordinary! Order Switched-On Schoolhouse 6th Grade Complete Set (USB) and see how much better homeschool can be! Switched-On Schoohouse USB Core Complete Set includes four (4) core subjects for Grade 6: History, Language Arts, Math, and Science. 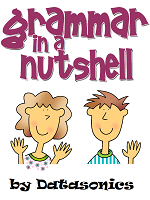 Are you fed up with time-consuming lesson planning and grading? Want a curriculum that will provide outstanding academic instruction and save you time? The Switched-On Schoolhouse 7th Grade Complete Set (USB) from Alpha Omega Publications offers all this and more! Presented in an interactive, media-rich learning environment, Switched-On Schoolhouse offers features and abilities that textbooks cannot begin to offer. For students, multimedia features such as videos, animated clips, interactive timelines and learning games, as well as immediate grading and feedback add lots of excitement to the learning process. And parents benefit from highly adaptable features such as time-saving automated lesson planning and grading, customizable recordkeeping options, and many other flexible Alpha Omega curriculum options. Text-based lessons are interspersed with interactive multimedia activities which enrich and reinforce material presented in the lesson. Comprehension and review questions used at the end of each lesson encourage mastery of learned material, and quizzes and unit tests in this Alpha Omega curriculum provide an excellent way for parents to evaluate student progress. Are you ready for the next generation of homeschool curriculum? Order Switched-On Schoolhouse 7th Grade Complete Set (USB) today! Switched-On Schoohouse USB Core Complete Set includes four (4) core subjects for Grade 7: History, Language Arts, Math, and Science. Are you looking for a curriculum that will encourage academic independence and critical thinking in your eighth grade student? Thats exactly what youll find with the Switched-On Schoolhouse 8th Grade Complete Set (USB) from Alpha Omega Publications! Presented in an interactive, media-rich learning environment, Switched-On Schoolhouse offers features and abilities that textbooks cannot begin to offer. For students, multimedia features such as videos, animated clips, interactive timelines and learning games, as well as immediate grading and feedback add lots of excitement to the learning process. And parents benefit from highly adaptable features such as time-saving automated lesson planning and grading, customizable record-keeping options, and many other flexible Alpha Omega curriculum options. Text-based lessons are interspersed with interactive multimedia activities which enrich and reinforce material presented in the lesson. Comprehension and review questions used at the end of each lesson encourage mastery of learned material, and quizzes and unit tests provide an excellent way for parents to evaluate student progress. But don't take our word for it! Order Switched-On Schoolhouse 8th Grade Complete Set (USB) and try it for yourself! Switched-On Schoohouse USB Core Complete Set includes four (4) core subjects for Grade 8: History, Language Arts, Math, and Science. What do you want from a homeschool curriculum? A solid academic reputation? Bible-based learning? Instruction thats interactive and engaging? Youll find all this and more with Switched-On Schoolhouse 9th Grade Complete Set (USB) from Alpha Omega Publications! Presented in an interactive, media-rich learning environment, Switched-On Schoolhouse offers features and abilities that textbooks cannot begin to offer. For students, multimedia features such as videos, animated clips, interactive timelines and learning games, as well as immediate grading and feedback add lots of excitement to the learning process. And parents benefit from highly adaptable features such as time-saving automated lesson planning and grading, customizable record-keeping options, and many other flexible Alpha Omega curriculum options. Text-based lessons are interspersed with interactive multimedia activities which enrich and reinforce material presented in the lesson. Comprehension and review questions used at the end of each lesson encourage mastery of learned material, and quizzes and unit tests provide an excellent way for parents to evaluate student progress. Everything youre looking forall in one place! Order Switched-On Schoolhouse 9th Grade Complete Set (USB) and try it for yourself! Switched-On Schoohouse USB Core Complete Set includes four (4) core subjects for Grade 9: History, Language Arts, Math, and Science. Are you looking for a complete homeschool curriculum that will challenge your high school student and take him where he wants to go? Want something more than the ordinary? Well, look no further! At Alpha Omega Publications weve got what you're looking for! 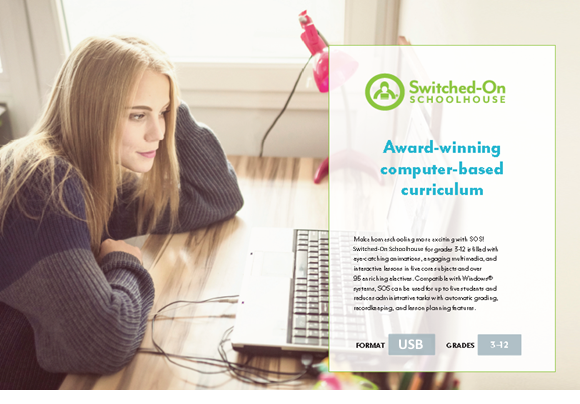 Presented in an interactive, media-rich learning environment, Switched-On Schoolhouse 10th Grade Complete Set (USB) offers features and abilities that textbooks cannot begin to offer. For students, multimedia features such as videos, animated clips, interactive timelines and learning games, as well as immediate grading and feedback add lots of excitement to the learning process. And parents benefit from highly adaptable features such as time-saving automated lesson planning and grading, customizable record-keeping options, and many other flexible Alpha Omega curriculum options. Text-based lessons are interspersed with interactive multimedia activities which enrich and reinforce material presented in the lesson. Comprehension and review questions used at the end of each lesson encourage mastery of learned material, and quizzes and unit tests provide an excellent way for parents to evaluate student progress. Go beyond ordinary! Order Switched-On Schoolhouse 10th Grade Complete Set (USB) and see how much better homeschool can be! Switched-On Schoohouse USB Core Complete Set includes four (4) core subjects for Grade 10: History, Language Arts, Math, and Science. Are you fed up with time-consuming lesson planning and grading? Want a curriculum that will provide outstanding academic instruction and save you time? The Switched-On Schoolhouse 11th Grade Complete Set (USB) from Alpha Omega Publications offers all this and more! Presented in an interactive, media-rich learning environment, Switched-On Schoolhouse offers features and abilities that textbooks cannot begin to offer. For students, features such as videos, animated clips, interactive timelines and learning games, as well as immediate grading and feedback add lots of excitement to the learning process. And parents benefit from highly adaptable features such as automated lesson planning and grading, customizable record-keeping options, and many flexible Alpha Omega curriculum options. Text-based lessons are interspersed with interactive multimedia activities which enrich and reinforce material presented in the lesson. Comprehension and review questions used at the end of each lesson encourage mastery of learned material and quizzes and unit tests provide an excellent way for parents to evaluate student progress. Are you ready for the next generation of homeschool curriculum? Order Switched-On Schoolhouse 11th Grade Complete Set (USB) today! Switched-On Schoohouse USB Core Complete Set includes four (4) core subjects for Grade 11: History, Language Arts, Math, and Science. Are you looking for a curriculum that will encourage academic independence and critical thinking in your twelfth grade student? Do you want to be sure that he will be prepared for college coursework? Thats exactly what youll find with the Switched-On Schoolhouse 12th Grade Complete Set (USB) from Alpha Omega Publications! Presented in an interactive, media-rich learning environment, Switched-On Schoolhouse offers features and abilities that textbooks cannot begin to offer. 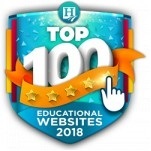 For students, multimedia features such as videos, animated clips, interactive timelines and learning games, as well as immediate grading and feedback add lots of excitement to the learning process. And parents benefit from highly adaptable features such as time-saving automated lesson planning and grading, customizable record-keeping options, and many other flexible Alpha Omega curriculum options. 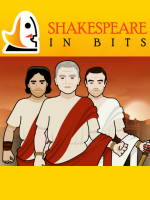 Text-based lessons in this Alpha Omega curriculum are interspersed with interactive multimedia activities which enrich and reinforce material presented in the lesson. Comprehension and review questions used at the end of each lesson encourage mastery of learned material and quizzes and unit tests provide an excellent way for parents to evaluate student progress. But don't take our word for it! Order Switched-On Schoolhouse 12th Grade Complete Set (USB) and try it for yourself! Switched-On Schoohouse USB Core Complete Set includes four (4) core subjects for Grade 12: History, Language Arts, Math, and Science. A standard 5-Subject Set on USB is fine for many, but what if you have child who is behind in one subject or ahead in another? What if you'd rather have an elective than one of the standard subjects? In the past, you would have purchased the needed subjects a la carte at the regular single-set price, and not been able to take advantage of AOP's 5-Subject Set discount. Use this option to get the perfect 5-Subject Set for YOUR child. Text-based lessons are interspersed with interactive multimedia activities which enrich and reinforce material presented in the lesson. Comprehension and review questions used at the end of each lesson encourage mastery of learned material and quizzes and unit tests provide an excellent way for parents to evaluate student progress. But dont take our word for it! 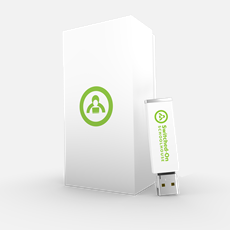 Order Switched-On Schoolhouse USB Build Your Own 5-Subject Set and try it for yourself!